The Chevy Silverado 6.2L V-8 (and the available 5.3L V-8) are the first V-8s available with Dynamic Fuel Management. Compared to Active Fuel Management, which alternates between eight- and four-cylinder modes, DFM features 17 cylinder patterns. That greater authority mixes cylinder patterns constantly to optimize efficiency and power delivery at all speeds. The Silverado truck is also a favorite of Designfax readers. Rounding out the field in this 25th year of the Wards 10 Best Engines competition is a muscle-car V-8, a German luxury turbocharged inline 6-cylinder, and a groundbreaking turbocharged 4-cylinder with variable compression ratio. The iconic 2019 Mustang Bullitt traces its roots to the legendary Highland Green 1968 Mustang GT fastback Steve McQueen thrashed in the action thriller "Bullitt" 50 years ago. 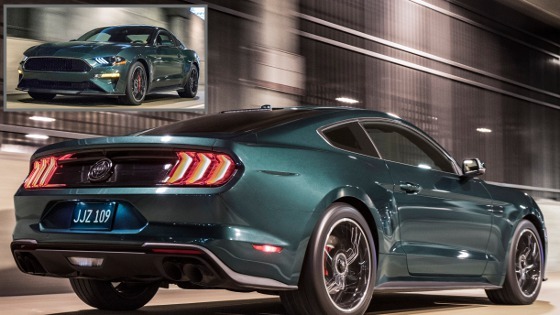 The new limited-edition Mustang Bullitt features a retuned 5.0-liter V-8 engine that packs at least 480 hp and 420 lb.-ft. of torque and tops out at 163 mph. WardsAuto editors chose the winners after spending October and November of 2018 evaluating 34 engines and electric propulsion systems during routine commutes in metro Detroit. Other notable trends this year: Ford wins two trophies for the second year in a row, and Hyundai wins two awards in the same year for the first time ever. A hydrogen-powered fuel-cell vehicle makes the cut for the third time, and two V-8s earn trophies in the same year for the first time since 2015. Hyundai landed two eco-friendly vehicles on Wards 10 Best Engines List. 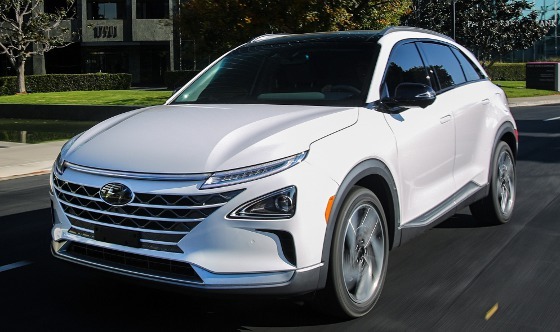 NEXO (shown here) leads Hyundai Motor's plans in the development of zero-emission vehicles. The NEXO Blue model has an estimated driving range of 380 miles -- 115 more than its predecessor. NEXO hydrogen storage uses three separate hydrogen tanks in the rear of the vehicle. In addition, the NEXO's refueling time can be achieved in as little as 5 minutes. "I never thought I'd live to see the day when a fuel-cell car and a battery EV would make the list the same year as two burly V-8s and a sophisticated 4-cylinder engine with variable compression," says Drew Winter, WardsAuto senior content director. "Automakers and their powertrain engineers are being pushed in different directions: Governments around the world want low emissions and electrification, while customers want vehicles that meet their every need without compromise. We believe this year's list represents the industry's ability to deftly satisfy both demands." Infiniti QX50: 2.0L DOHC VC-Turbo 4-Cyl. Click here for a pro-and-con summation of all 34 powertrains evaluated in the 2019 competition. Many comments come directly from the WardsAuto editor scoresheets. Listings in red are the winners. Since 1995, the Wards 10 Best Engines competition has recognized outstanding engines and electrified propulsion systems, as well as the technology and engineering behind them. All new or significantly improved powertrains, as well as last year's 10 returning winners, were eligible. Vehicles must have a base price no higher than $64,000. VIDEO: If you've got time to burn, you can watch the editors from WardsAuto talk about each of the winning engines. The winning automakers were honored Jan. 16, 2019, at a WardsAuto ceremony in Detroit during the North American International Auto Show. On the same day, WardsAuto hosted a separate 25th anniversary celebration to honor all automakers that have won 10 Best Engines trophies since 1995. WardsAuto also announced that this coming year the competition will have its name changed to "Wards 10 Best Engines & Propulsion Systems."